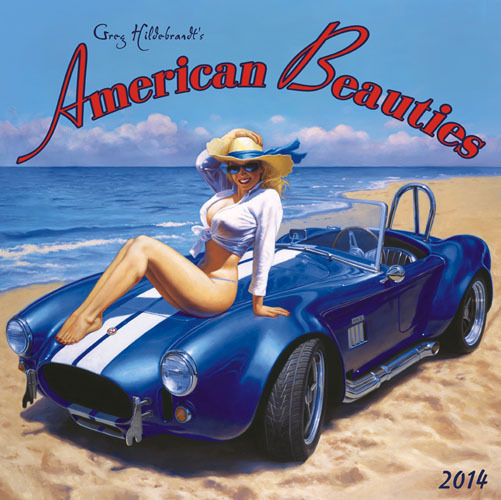 Greg Hildebrandt's American Beauties 2014 Pinup Calendar 2014 Full Color Wall Calendar This Pinup Calendar published by Zebra has 13 of Greg's paintings from his American Beauties Series. 12 months and one great centerfold! The Spiderwebart Gallery is the only place to get the signed Calendar. Signed by Greg Hildebrandt.